A followup on the post about mostly economics reading; on politics, culture, etc. there are other blogs I read fairly often. On politics, Greg Sargent, Josh Marshall, Digby, and I still get a kick out of Atrios, who gets to use all the words I can’t. And I’m a big fan of the folks at Crooked Timber. Bear in mind that this paragraph comes right after Krugman lists a lot of perfectly respectable (though shamelessly ideological and hyperbolic) liberal blogs. So in other words, if you’re reading this you’re probably more informed than at least one Nobel Prize Winner. That’s right, and George Will isn’t Michael Moore; and a liberal blog, almost by definition, is a blog written by someone who chooses not to notice that asymmetry. No need to read Marginal Revolution, Becker/Posner, Econlog, John Taylor, Greg Mankiw, Robin Hanson, Steven Landsburg, etc, etc. Nothing of interest, just move right along folks. I’m always amazed when someone so brilliant can be so clueless about life. How someone can reach middle age and still live in a kindergartener’s world of good guys and bad guys. Perhaps if Krugman would get out a bit more he might make fewer embarrassing errors, like this one, where he forgot the fallacy of composition, something taught in EC101. I guess none of his liberal friends have the nerve to point out these sorts of silly errors. So it’s still there, uncorrected after two weeks. A monument to his pride at being ignorant of the views of those with whom he disagrees. You might ask whether I’m being a bit harsh calling him “ignorant.” Actually, he’s the one who proudly flaunts his ignorance of conservative thought. I find that reading good liberal blogs like Krugman, DeLong, Thoma, Yglesias, etc, sharpens my arguments. It forces me to reconsider things I took for granted. I’d guess that when Krugman tells people at cocktail parties that the post-1980 trend of lower tax rates, deregulation, and privatization was a plot devised by racist Republicans, they all nod their heads in agreement. If he occasionally read a conservative blog he might learn that all those trends occurred in almost every country throughout the world after 1980, usually much more so than in the US. I wonder if his blanket condemnation of reading conservative outlets would include books that attack silly liberal arguments for protectionism. Or articles that show the folly of liberal opposition to sweatshops. Are those conservative ideas also no longer worth reading? The problem is sort of a Catch-22: reading the loony tunes blogs isn’t worthwhile except for entertainment value, so I mostly don’t bother. Conversely, the more moderate types have interesting things to say, but they’re so out of touch with mainstream conservatism that they often don’t seem worthwhile engaging with either. I mean, what’s the point in arguing over some technocratic point that’s a million light years away from the views of actual, existing conservatism, which doesn’t yet admit that cutting taxes reduces revenues or spewing carbon into the air heats the globe? It all has a very ivory tower feel to it.I’ll go on reading the non-insane conservatives, because (a) it’s worth having my views challenged by smart people and (b) you never know: maybe someday the tea party version of conservatism will collapse and the moderates will regain a bit of power. That sure seems like a pipe dream right now, though. This is a recurring theme and, while I certainly read plenty of conservative pundits–and, indeed, still consider myself one–like Kevin, I read fewer than I used to. I prefer rational, facts-based analysis and find more of it across the aisle than on my own side. Partly, it’s a function of the fact that academics and policy wonks with strong academic backgrounds are more likely to produce the kind of writing I find interesting and those groups tilt to the leeward side. But I’m not the only conservative who has noticed that even mainstream journals on the right have gone crazy. And the David Frums, Bruce Bartletts, and Daniel Larisons have largely been written off as RINOs angling for invites to liberal cocktail parties. Are the rational conservatives simply being outshouted? Out-promoted? Or are there just too few to matter anymore? Seeking to appease disgruntled governors, President Obama announced Monday that he supported amending the 2010 health care law to allow states to opt out of its most burdensome requirements three years earlier than currently permitted. In remarks to the National Governors Association, Mr. Obama said he backed legislation that would enable states to request federal permission to withdraw from the law’s mandates in 2014 rather than in 2017 as long as they could prove that they could find other ways to cover as many people as the original law would and at the same cost. The earlier date is when many of the act’s central provisions take effect, including requirements that most individuals obtain health insurance and that employers of a certain size offer coverage to workers or pay a penalty. “I think that’s a reasonable proposal; I support it,” Mr. Obama told the governors, who were gathered in the State Dining Room of the White House. Aside from the political implications of endorsing a plan championed by a Democratic leader on health reform – even if he is in cahoots with a Republican from a blue state – some on the right might balk at the Wyden-Brown plan on the grounds that it’s still an expensive expansion of government. The Wyden-Brown plan, after all, does not – as far as I can tell – spend any less money than the ACA without a state opt-out. On the contrary, it may cost more. The Wyden-Brown plan also does not impact the huge Medicaid expansion called for in the ACA, which Republicans vehemently oppose. It doesn’t eliminate taxes on expensive health insurance plans, or fees levied on medical devices or pharmaceuticals. Another catch: The Wyden-Brown plan only allows states to opt out if they have a good plan for how to undertake comprehensive health care reform on their own. Most states don’t have such a plan. Massachusetts, which enacted reform in 2007, obviously does, which is why Brown was a logical co-sponsor of the opt-out bill. California, Connecticut and Vermont are three other states that are on their way toward developing health care reform inside their borders. But red states – especially southern states – are among those least equipped to design and implement reform that could accomplish what the ACA attempts to do, as they typically have higher percentages of uninsured residents and looser insurance regulation. As long as the HHS Secretary, whether it is Kathleen Sebelius or the next occupant of the office, has the final say on granting Obamacare waivers, then there is no real flexibility for states under Obamacare. All 50 of them would still be at the mercy of the whim of the HHS. The only real way to give states true flexibility on health care reform begins with the full repeal of Obamacare. [A] White House conference call with liberal allies this morning says the Administration is presenting it to Democrats as an opportunity to offer more expansive health care plans than the one Congress passed. Health care advisers Nancy-Ann DeParle and Stephanie Cutter stressed on the off-record call that the rule change would allow states to implement single-payer health care plans — as Vermont seeks to — and true government-run plans, like Connecticut’s Sustinet. The source on the call summarizes the officials’ point — which is not one the Administration has sought to make publically — as casting the new “flexibility” language as an opportunity to try more progressive, not less expansive, approaches on the state level. “They are trying to split the baby here: on one hand tell supporters this is good for their pet issues, versus a message for the general public that the POTUS is responding to what he is hearing and that he is being sensible,” the source emails. The question is whether this makes Wyden-Brown more or less likely to pass. I’m guessing less likely. The political theory behind Wyden-Brown was that it gave Republicans a constructive way to attack the Affordable Care Act: The waiver program could be sold as a critique of the law — “it’s such a bad bill that states need to write their own policy” — even as it entrenched the country’s basic commitment to universal health-care insurance. You could’ve imagined it being attached to the budget or one of the spending bills as part of a larger bargain. But now that Obama has admitted it’s not a threat to the Affordable Care Act, a lot of the appeal for Republicans dissipates. Supporting it could even be seen as helping the White House in its efforts to defend the law against repeal. So the idea looks likelier to become a talking point for the administration — see how reasonable we’re being? — than an outlet for Republicans. But perhaps that doesn’t matter: Wyden-Brown hasn’t attracted any Republican co-sponsors beyond Scott Brown, so maybe it never had a chance of playing its intended part anyway. I suspect this is not as big a deal as it seems. Basically, Obama is calling the bluff of Republicans who insist that they can build a healthcare system that’s as extensive and affordable as PPACA using some combination of tea party-approved “free market” principles. He’s telling them to put their money (or, rather, money from the feds) where their mouths are, which will probably demonstrate fairly conclusively that they can’t do it. It’s possible that a state like Oregon might enact a more liberal plan that meets PPACA standards, but I doubt that Alabama or Tennessee can do it just with HSAs and high-deductible health plans. Still, we’ll see. This is a chance for conservatives to show that they have a better healthcare answer in the real world, not just as talking points at a tea party rally. 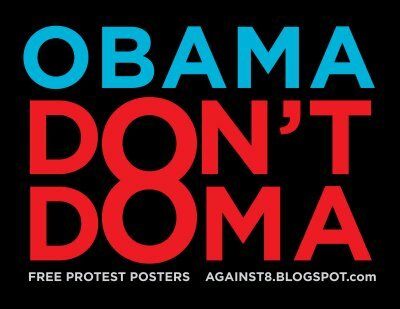 Obama is betting they’ll fail, and he’s also betting they’ll tear each other apart arguing over details while they do it. Life is easy when all you have to do is yell “Repeal Obamacare!” but it gets a lot harder when you have to produce an actual plan. Hey Kids, Tyler Cowen Wrote A Book! Your copy will arrive on January 25 and loyal MR readers are receiving the very first chance to buy it. Very little of the content has already appeared on MR. Many of you have read my article “The Inequality that Matters,” but there I hardly touched on median income growth. That is because I was writing this eBook. Has median household income really stagnated in the United States? If so, why? Are the causes political or something deeper? What are the important biases in how we are measuring national income and productivity and why do they matter for economic policy? Are we getting enough value for all the extra money we are spending on the health care and education sectors? What do some major right-wing and left-wing thinkers miss about this phenomenon? How does all this relate to our recent financial crisis? I dedicated this book to Michael Mandel and Peter Thiel, two major influences on some of the arguments. Why did big government arise in the late 19th and early 20th centuries, what is its future, and why is science so important for macroeconomics? How can we fix the current mess we are in? Read (and buy) the whole thing. How great was Tyler Cowen’s marketing coup? Well he forced a technophobe like me to actually learn how to use Kindle. I wasn’t too happy about that, which makes me inclined to write a very negative review. But that’s kind of hard to do credibly when I agree with the central proposition of the book; that technological progress (at least as traditionally measured) has slowed dramatically, and will continue to be disappointing for the foreseeable future. In an earlier post I argued that my grandma’s generation (1890-1969) saw the biggest increase in living standards; most notably a longer lifespan (due to diet/sanitation/health care), indoor plumbing and electric lights. Less important inventions included home appliances, cars and airplanes, and TVs. From the horse and buggy era to the moon landing in one life. And all I’ve seen is the home computer revolution. Not much consolation for a technophobe like me. I’m probably even more pessimistic than Tyler. The parts of the book I liked best were those that discussed governance. I had noticed that there was a correlation between cultures that are good at governance, and cultures that are good at running big corporations. But Tyler added an interesting perspective, arguing that the technologies that facilitated the growth of big corporations also facilitated the growth of big government. I don’t recall if he made this point, but I couldn’t help thinking that the neoliberal revolution, which led to some shrinkage in government size, was also associated with a move away from the big corporate conglomerates of the 1960s, towards smaller and more nimble businesses. Raise the social status of scientists. My initial reaction was skepticism. First, how realistic is it to expect something like this to happen? I suppose the counterargument is that every new idea seems unrealistic, until it actually occurs. But even if it did, would it really speed up the rate of scientific progress? My hunch is that if we doubled the number of people going into science, there would be very little acceleration in scientific progress. First, because the best scientists (think Einstein) are already in science, driven by a love of the subject. Second, with a reasonably comprehensive research regime, progress in finding a cure for cancer may require a certain set of interconnected discoveries in biochemistry that simply can’t be rushed by throwing more money and people at the problem. Similarly, progress in info tech may play out at a pace dictated by Moore’s law. Given Moore’s law, no amount of research could have produced a Kindle in 1983. Could more scientists speed up Moore’s law? Perhaps, I’m not qualified to say. But that’s certainly not the impression I get from reading others talk about information technology. Be tolerant, and realize there are some pretty deep-seated reasons for all the political strife and all the hard feelings and all the polarization. I couldn’t help thinking of Paul Krugman and Tyler Cowen, the two brightest stars of the economic blogosphere. If only one of those two are able to have this sort of dispassionate take on policy strife, how likely are the rest of us mere mortals to be able keep a clear head and remain above the fray? Still, it’s great advice. Mr Cowen’s book can be very briefly (too briefly) summarised as follows. The rich world faces two problems. The first is that a decline in innovation has reduced the growth rate of output and median incomes, making it hard for rich countries to meat obligations accepted when expectations were higher. The second is that a lot of recent innovation is occuring in places like the internet, where new products are cheap or free and create very few jobs. Mr Sumner’s response is a good one. What Mr Cowen is essentially saying, he suggests, is that the actual price level is tumbling. Technology has created a lot of great things that are available for free, and so the price of a typical basket of household consumption is dropping like a rock. People used to spend a lot of money going to movies, buying books and records, making expensive long-distance phone calls, paying for word processing software, and so on. Now, a lot of that can be done at almost no cost. Prices are falling. That has a couple of implications. It suggests that real incomes are actually rising, at least for those consuming the bulk of the free online content. And perhaps real incomes are too high, in some cases, for labour markets to clear. Given broader disinflation (understated because non-purchased goods aren’t included in price indexes) both prices and wages may need to adjust, but if they’re sticky, then they won’t. What’s needed is reinflation. To a certain extent, Mr Cowen is concerned about society’s ability to pay off old obligations, and one reason society might struggle to do this is that new innovations deliver value through non-monetary transactions. But the value is still there, and that’s what should really matter for the paying-off of obligations. When you borrow, you’re offering to compensate the lender with more utility tomorrow for less utility today. Thanks to the internet, utility today is cheap, and that’s only a problem because the obligations we acquired yesterday were denominated in dollars. But we can print enough money to meet yesterday’s obligations. Indeed, we should, in order to offset the deflationary pressures from the cheap innovations. Imagine a world in which technology has advanced to the point that robots can build robots that operate at basically no cost at basically no cost, such that people can have anything that want anytime for free; the only constraint on consumption is the time available. That would be a cashless economy, and as a result, debtors would be totally unable to pay creditors. But does that matter? Tyler Cowen argues that technological change since the early 1960s hasn’t been as transformative for ordinary peoples’ lives as the change that went before. Better yet, think about how a typical middle-class family lives today compared with 40 years ago — and compare those changes with the progress that took place over the previous 40 years. I happen to be an expert on some of those changes, because I live in a house with a late-50s-vintage kitchen, never remodelled. The nonself-defrosting refrigerator, and the gas range with its open pilot lights, are pretty depressing (anyone know a good contractor?) — but when all is said and done it is still a pretty functional kitchen. The 1957 owners didn’t have a microwave, and we have gone from black and white broadcasts of Sid Caesar to off-color humor on The Comedy Channel, but basically they lived pretty much the way we do. Now turn the clock back another 39 years, to 1918 — and you are in a world in which a horse-drawn wagon delivered blocks of ice to your icebox, a world not only without TV but without mass media of any kind (regularly scheduled radio entertainment began only in 1920). And of course back in 1918 nearly half of Americans still lived on farms, most without electricity and many without running water. By any reasonable standard, the change in how America lived between 1918 and 1957 was immensely greater than the change between 1957 and the present. Now, you can overstate this case; medical innovations, in particular, have made a huge difference to some peoples’ lives, mine included (I have a form of arthritis that would have crippled me in the 1950s, and in fact almost did 20 years ago until it was properly diagnosed, but barely affects my life now thanks to modern anti-inflammatories.) But the general sense that the future isn’t what it used to be seems right. Tyler Cowen’s celebrated Kindle publication “The Great Stagnation” has received a lot of attention from the Web community. The New York Times David Leonhardt gets the author to sit for an e-interview on his e-book and asks a good first question: If our innovation motor is broken, what should we do know? The N.I.H. has done a very good job in promoting medical innovation and this is in large part because it allocates funds on a relatively meritocratic basis; Congress doesn’t control particular grants and on many important fronts the N.I.H. has autonomy. It is one reason why the United States is the world leader in medical research and development and I would expand its funding, provided it retains this autonomy. Basic research is often what economists call a “public good” and it offers economic and health returns for many years to come. … and get realistic about clean energy. “Clean energy” is a very important issue, for reasons of climate change, but it won’t be a job creator in a useful sense. In terms of energy production, fossil fuels are quite powerful. With green energy, at this point, we are simply looking to break even, namely to receive some of our current power but without the negative environmental consequences which accrue from carbon. That’s a worthy goal, but we shouldn’t start thinking about green energy as speeding up economic growth or creating jobs. It’s more like a necessary burden we will have to bear and the fact that these costs lie in front of us – from both the climate change and from the technological adjustments — is a sobering thought. These are smart thoughts from a very smart guy. But let’s think about NIH funding from a jobs perspective. If the government increases science funding and this results in more pharmaceutical drugs coming online, that’s a great thing for the pharmaceutical industry. But new drugs, like any new technology, can be disruptive. For example, a drug to ease the side-effects of end-of-life diseases might replace the need for home health aides, which are projected to be one of the fastest growing jobs in the country for low-skilled workers. That’s not a reason not to develop a totally useful rug! But it throws a wrench into a claim (one that I’ve often made, too) that innovations in biosciences are pure job-creators. Cowen’s characterization of plumbing, fossil fuels, public education systems, penicillin and so forth as “low-hanging fruit” bugs me a bit. It took human beings quite a while to figure all that out. But Cowen is right to say that once discovered, those innovations produced extremely high returns. From the economy’s perspective, the difference between having cars and not having cars is a lot larger than the difference between having cars and having slightly better cars. A 1992 Honda Accord and a 2010 Honda Accord aren’t the same, but they’re pretty close. Maybe the Internet just needs some time to come into its growth-accelerating own. Or maybe the Internet is going to be an odd innovation in that its gains to human knowledge and enjoyment and well-being will serve to demonstrate that GDP and even median wage growth are insufficient proxies for living standards. Either way, we’re still left with a problem: Stagnant wages are a bad thing even if Wikipedia is a big deal. And it’s not just the Internet. Even when we’re growing, things look bad. The sectors that are expanding fastest are dysfunctional. We spend a lot of money on education and health care, but seem to be getting less and less back. The public sector is getting bigger, but it’s not at all clear it’s getting better. For much of the last few decades, the financial sector was was generating amazing returns — but that turned out to be a particularly damaging scam. And economic malaise is polarizing our politics, leaving us less able to respond to these problems in an effective or intelligent way. Tyler makes a bunch of other arguments in “The Great Stagnation” too, some more persuasive than others. Like some other critics, I’m not sure why he uses median wage growth as a proxy for economic growth. It’s important, but it’s just not the same thing. Besides, median wage growth in the United States slowed very suddenly in 1973, and it’s really not plausible that our supply of low hanging fruit just suddenly dropped by half over the space of a few years. I also had a lot of problems with his arguments about whether GDP generated by government, education, and healthcare is as “real” as other GDP. For example, he suggests that as government grows, its consumption is less efficient, but that’s as true of the private sector as it is of the public sector. A dollar of GDP spent on an apple is surely more “real” than a dollar spent on a pet rock, but there’s simply no way to judge that. So we just call a dollar a dollar, and figure that people are able to decide for themselves whether they’re getting the same utility from one dollar as they do from the next. The healthcare front is harder to judge. I agree with Tyler that we waste a lot of money on healthcare, but at the same time, I think a lot of people seriously underrate the value of modern improvements in healthcare. It’s not just vaccines, antibiotics, sterilization and anesthesia. Hip replacements really, truly improve your life quality, far more than a better car does. Ditto for antidepressants, blood pressure meds, cancer treatments, arthritis medication, and much more. The fact that we waste lots of money on useless end-of-life treatments doesn’t make this other stuff any less real. To summarize, then: I agree that the pace of fundamental technological improvements has slowed, and I agree with Tyler’s basic point that this is likely to usher in an era of slower economic growth in advanced countries. At the same time, improvements in managerial and organizational efficiency thanks to computerization shouldn’t be underestimated. Neither should the fact that other countries still have quantum leaps in education to make, and that’s going to help us, not just the countries trying to catch up to us. After all, an invention is an invention, no matter where it comes from. And finally, try to keep an even keel about healthcare. It’s easy to point out its inefficiencies, but it’s also easy to miss its advances if they happen to be in areas that don’t affect you personally. Let’s Go Back To WikiLeaks And Learn Something Interesting! The US fears that Saudi Arabia, the world’s largest crude oil exporter, may not have enough reserves to prevent oil prices escalating, confidential cables from its embassy in Riyadh show. The cables, released by WikiLeaks, urge Washington to take seriously a warning from a senior Saudi government oil executive that the kingdom’s crude oil reserves may have been overstated by as much as 300bn barrels – nearly 40%. However, Sadad al-Husseini, a geologist and former head of exploration at the Saudi oil monopoly Aramco, met the US consul general in Riyadh in November 2007 and told the US diplomat that Aramco’s 12.5m barrel-a-day capacity needed to keep a lid on prices could not be reached. According to the cables, which date between 2007-09, Husseini said Saudi Arabia might reach an output of 12m barrels a day in 10 years but before then – possibly as early as 2012 – global oil production would have hit its highest point. This crunch point is known as “peak oil“. 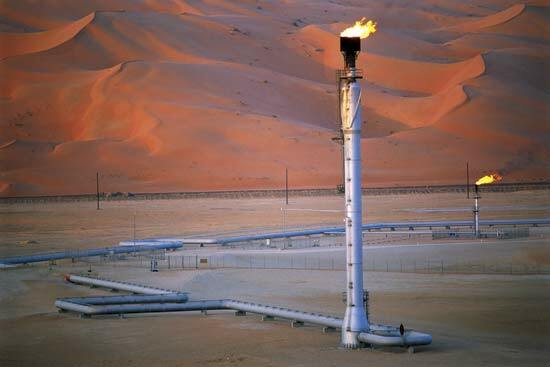 It went on: “In a presentation, Abdallah al-Saif, current Aramco senior vice-president for exploration, reported that Aramco has 716bn barrels of total reserves, of which 51% are recoverable, and that in 20 years Aramco will have 900bn barrels of reserves. This won’t come as a surprise to anyone who’s been following the oil industry over the past few years. Matthew Simmons’ Twilight in the Desert, which I reviewed six years ago, made a detailed case that Saudi Arabia’s production capacity had pretty much maxed out already, and Business Week published an article three years ago based on internal Saudi documents that said much the same: the Saudis could pump 12 million barrels a day in short spurts but only 10 million barrels on a steady basis — and that’s all there is. Production capacity just isn’t going up. The issue is pivotal. Put simply, the price of oil — the price you are paying at the pump, indeed the cost of everything in your home — is wholly determined by what oil traders think Saudi reserves and production capability really are. As an example, oil plunged yesterday to their lowest price of the year — $87.87 a barrel — when Saudi Arabian Oil Minister Ali al-Naimi (pictured above) suggested that the kingdom will put new oil supplies on the market to compensate for any uptick in global demand. The thing is, the Saudis are highly secretive about these figures — unlike almost every important petro-state on the Earth outside the Middle East, the Saudis will not permit their oilfields to be independently audited. One might wonder why that would be the case, and the late Matt Simmons, for example, made much hay suggesting that the reason is that the Saudis simply don’t have as much oil as they claim. I myself got ahold of documents back in 2008 suggesting the same. Sensible voices, however, said such are the thoughts of the conspiratorial-minded, and that the Saudis genuinely possess what they claimed — they were denying the right to verify because … well because that’s just what they do. It’s interesting to look at recent production data with this kind of news in mind (to see production numbers you can download this PDF, or check out charts at the Oil Drum). What we observe is that from around 2004, oil production hasn’t increased very much, even as prices have soared. Now, one reason for this plateau may be the lag in bringing new supply online. During the cheap oil 1990s, production growth and exploration were limited. As prices rose in the early 2000s, producers brought existing, high-cost facilities online, adding to supply. But once existing production was running at capacity, the industry had to wait to get new facilities up to increase supply, and that process doesn’t happen overnight. So it could be that, globally, we’re experiencing a temporary period of high prices and stagnant supply while new extraction is set up. Of course, in an environment of growing demand, a temporary supply limit can be costly. But let’s think about one other potential dynamic. In the old days, OPEC attempted to use its cartel status to artificially limit supply and raise prices. This, however, was difficult to orchestrate; there was always the incentive to cheat and sell more than one’s quote of oil at the artificially high price, and as more participants cheated the supply limit fell apart. But as global supply runs against natural limits, incentives begin shifting the other way. If an individual gains information suggesting that oil reserves are overstated, then they’re likely to expect an increase in future prices. Such an individual could bet on this outcome by buying oil futures, but this behaviour is limited by the nature of the contract; at some point traders may need to take delivery of actual oil, in which case they’ll need a place to store it, and that storing activity would be highly visible in the form of rising inventories. But what if you’re an oil producer, and you learn this information? Well, obviously you’d like to make the same bet, and hold on to your oil until you can sell it at a higher price. Fortunately for you, oil producer, nature has provided a natural storage tank. All you have to do to make your bet is not produce any more oil than you need to sell to cover costs. All of which is to say, the world doesn’t need to experience declines in potential oil production to see a rise in oil prices. All it needs is for oil producers to see that such limits loom and begin betting on the near-certainty of rising prices. Of course, different countries will face different liquidity constraints; some leaders may find themselves producing full out in order to sustain their socialist paradise, particularly when prices temporarily dip thanks to recession. But at those times, other countries with fiscal room to spare should cut back their production further—to buy more, essentially, when prices are low in order to sell more when prices are high. Even Jeroen van der Veer, the chief executive of Royal Dutch Shell, has admitted that oil supply may no longer keep up with demand by 2015. But the just-released cables, which detail a back-and-forth between the U.S. consul general and geologist Sadad al-Husseini, the former head of exploration at Saudi Aramco, confirms that the situation is serious. If this is taken seriously, it should accelerate the search for alternative energy sources and reduce the influence of ‘our friends the Saudis.’ Both those results would be blessings. President Hosni Mubarak of Egypt prepared to address the nation Thursday, with government officials indicating that they expected him to step aside, and Egypt’s military announcing that it is intervening in state affairs in an attempt to stop a three-week old uprising. The military declared on state television that it would take measures “to maintain the homeland and the achievements and the aspirations of the great people of Egypt” and meet the demands of the protesters who have insisted on ending Mr. Mubarak’s 30-year rule. Several government officials said Mr. Mubarak is expected to announce his own resignation and pass authority to his hand-picked vice president, Omar Suleiman. But if the military does assume formal control of the government, it remains uncertain if it would give Mr. Suleiman, a former military officer, a leading role. 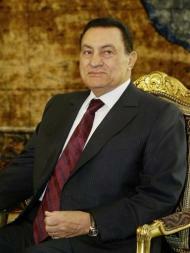 State television said in a bulletin that Mr. Mubarak would make a statement tonight. The news anchor stumbled on her words as she said Mr. Mubarak would speak “live on air from the presidential palace.” Footage just before then had showed the president meeting with Mr. Suleiman and the country’s prime minister, Ahmed Shafiq. Twitter is hoot this past hour, with BIG-CAPITAL-LETTER BREAKING NEWS flying about Hosni Mubarak possibly stepping down. Or maybe not. Or maybe so. CIA director Leon Panetta leaped forward to proclaim a “strong likelihood” that Mubarak would be out today. And then, a CIA spokesman quickly retracted the statement because Panetta was basing his assessment on cable news reports — not independent US intel. I’ll let you decide what kind of fluid. American and Arab media are buzzing with late-breaking rumors that Egyptian President Hosni Mubarak will announce his resignation tonight, almost surely in anticipation of massive rallies planned for tomorrow after Friday prayers. If true, this would be a significant victory for the hundreds of thousands of protesters who have gathered in Tahrir Square in Cairo and throughout Egypt throughout the last few weeks. What comes next, however, is not clear. The military has been threatening a coup since yesterday, with the Egyptian Army Chief of Staff Sami Enan telling the masses in Tahrir today that “all your demands will be met…it ends tonight.” Although that statement is similar to ones made by other regime officials throughout the last few days, the mood among the protesters in Tahrir suggests that they expect the Army to be more receptive to their demands than Mubarak and his intelligence chief and newly-minted Vice President Omar Suleiman. The big question now is who exactly will take over, and how temporary his rule will be. Speculation is changing rapidly, but the predominant theory that’s being pushed on Al Jazeera English right now is that the military was troubled by the possibility that Hosni Mubarak would try to hand over the reigns to Omar Suleiman, and that is why they’ve effectuated what appears to be a coup. Suleiman is Mubarak’s dyed-in-the-wool intelligence chief, and few have faith in him to carry out real reforms, with even his American backers expressing doubts about his commitment to change. So, basically what we’ve got is a military coup with the promise of a democratic transition in the future. Whether that’s how it turns out remains to be seen, of course, but it seems clear that this is turning out the best it could so far under the circumstances. I was in Beirut when Rafik Hariri was assassinated and lived in Lebanon for the next 12 months as well. The March 8th and 14th demonstrations, and the popular movement that led to the end of the Syrian military occupation of Lebanon, were all very exciting to live through and witness — especially as a young guy, fresh out of the Army and studying the politics of the Middle East. (I learned more on the streets than I did in the library that year!) But in so, so many ways, the six months that followed the Syrian withdrawal from Lebanon were more interesting than the frantic weeks that led up to the withdrawal itself. In those six months, we saw what had really changed in Lebanon, and the answer was not much at all. If the rumors are true, and if Hosni Mubarak steps down today, the most interesting “Friedman Unit” will be the six months starting now. We will see what kind of order replaces — or doesn’t replace — the current regime, and we will see how the disorganized opposition groups fracture and fight among themselves about the way forward. The true meaning of this uprising will be found not in what happens today or what has taken place in Tahrir Square over the past three weeks but in the weeks and months ahead.